The negotiation stage is key during the sales process. Top negotiators have ditched some of the hard-stance tactics of days past and adopted modern trends which lead to more mutually favorable agreements. 2019 may likely see a stronger reliance on technology while still making the sales process more personal. Technology has become more personal, user-friendly, and enjoyable to use. Web 2.0 properties, user-generated content, and social media have changed how we communicate, make decisions, and make personal and corporate purchases. In the same vein, buyers often want to interact with businesses in the same way they connect in their personal lives – via social media. For instance, now people don’t have to waste time chasing leads. They are now heavily leaning on various automated tools for lead generation. In fact, even the lead nurturing process has become technology based. More often, companies who truly want to connect their negotiation experts with their customers are increasingly adopting their buyers’ lifestyles into the firm’s online strategies. 2019 is likely to see companies seeking better ways to use technology to create more value for their customers, employees, and partners. If statistics are anything to go by, sales development reps use on average six tools. Companies also reported the average annual spend on sales technology was $3,894 per rep per year. It clearly proves that technology is now indispensable when it comes to sales and negotiations. Such technology-based strategies are designed to shorten the negotiation cycle since customers get to tick off terms before reaching out to a sales rep. Sales negotiators are becoming more aware of the power of storytelling. Companies are creating engaging case studies and relatable stories which help sell their value to their target audience. 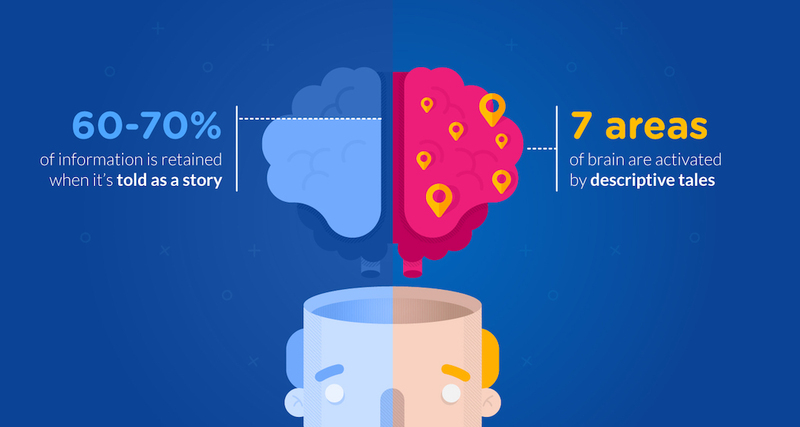 People retain 65 to 70 percent of information shared via a story versus only 5 to 10 percent of the information conveyed through statistics. In 2019, more sales negotiation training may direct focus on how customers can use their solutions for impactful results. Imagine a storyline with a hero who swoops in to solve corporate challenges. With relatable characters addressing the customer’s challenges, the buyer experiences an image of being the hero who saves the day. Sales negotiators will probably be winning more sales volumes in 2019 by negotiating less. Selling more while negotiating less is possible when negotiators let the data speak for their results. Here’s the deal: no one is going to believe in your self-praising. If you are going to tell me that your product is great because it can perform so and so tasks, then I am unlikely to buy it. This is why sales professionals today are doing away with this approach — and rightly so. Today, more and more companies are training their sales teams to utilize transparent policies which lay bare their operations and quantifies their results. All in all, they all are now turning to a more data-driven approach. According to the technology firm, IBM, data-driven benchmarks and substantiated numbers are achieving desired outcomes. This is true especially for this age where people want to do their own research before they commit to a purchase. People are likely to buy from are those who show quantified results with substantiated data-driven benchmarks. Apart from this, sales professionals are also leveraging intelligent data before chasing leads. Just envision this scenario for a minute. You spend a whole chasing after a lead. Now when the time comes to push the lead further down the sales funnel, turns out you were chasing an unqualified all this while. A data-driven approach is necessary to alleviate such situations as well. 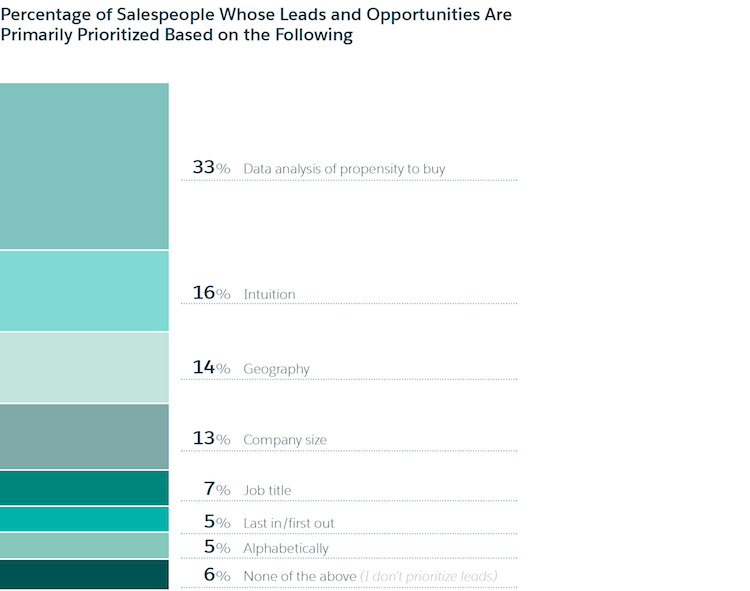 That’s why these days sales teams are twice as likely (33%) to prioritize leads based on data analysis of “propensity to buy” rather than on intuition (16%). When you collect data on your existing leads and use it as a benchmark before chasing for the new ones, it’s a given that you are going to get more success. Many times, people enjoy partnering with those who share the same values. In 2019, sales negotiators are working on key accounts that may increasingly use more personal strategies to win over clients. For instance, if the client you are chasing is the alum of the same school as you are, then don’t hesitate to mention this in your pitch. This is just an example. There are so many other things that you can do. The goal is to discover a common value or idea that you share with your buyer, and then leverage that common standpoint while dealing with them. This also makes your sales pitch more personalized. And according to upcoming trends, buyers have a special affinity to a personalized approach. In fact, 90% of consumers found personalization appealing. Also, 80% of customers said that they are more likely to do business with a company that offers personalized approaches. Negotiators strive to be better-focused in finding genuine common ground with their buyers, and other account decision makers. Try to find shared interests outside the workplace. When your buyers find they share similar values, enjoy your company, or have corresponding interests, then they’re likely to not just work with you but also readily accept your terms. Negotiation class and in-house simulations may equip sales reps to readily identify common touch points. By the time the sales process is at the negotiation stage, the sales rep can better sense the increased probability of revenue. The sales negotiator is probably already counting the sales volume and calculating quotas. At this stage in the negotiation, the sales rep wants a quick conclusion. Without training in sales negotiation, more time induces some anxiety that the prospect may change their mind. Despite pressure to close the deal, skillful sales negotiators realize more often that taking breaks at critical junctures in negotiations can result in better terms and more value for both sides. Too often, untrained sales negotiators rush to the finishing line, unnecessarily giving away too much and not creating the best solution. In healthy negotiations, both sides want an outcome which works out for both team’s benefit. Often, it’s perfectly fine to let your prospects take time off to consult colleagues, partners, and other stakeholders. Consider building in some intentional breaks into the negotiations to clear thoughts and calm any anxieties. Neither the buyer nor the seller wants to lose the negotiation. Both sides want to come out feeling they received value in the exchange. Taking an inflexible or hard stance without concessions muddies the perception of the client organization, and this may ultimately affect your brand image and customer relations. Now, it’s a more common trend for the top sales negotiators to create initial offers with pre-planned concessions. Having a negotiation strategy with a few in-built concessions helps to give a well-trained buyer the feeling that they have won something. Once you get the buyer saying “yes” to a few concessions in your favor, it becomes a lot easier to reach the big “YES” to the overall deal. Having in-built concessions enables the sales negotiator to guide the negotiations to a win-win contract while retaining profitability. In sales negotiation training, your technical win is when the buyer admits that your product is the best. Finding your technical win is not an ego trip but a genuine desire to create products and services which resonate best with the customer. Having a technical win makes it easier to negotiate on terms and pricing. Without a technical win, the sales negotiator is likely to over-negotiate and be drawn into a price war with a competitor. With a technical win, there is a clear understanding on both sides of the value delivered for the purchase price. More often than not, the technical win is achieved by talking with customer decision makers and influencers who are NOT the buyer. Sales negotiation is a key aspect of acquiring new customers, creating valuable relationships, and building profits. Some tactics which may have worked in the past may not deliver great results in 2019 and beyond. Technology plays an instrumental role in communication and data analysis. 2019 may see an increase in reliance on technology to influence sales negotiation outcomes. Personal connections may often matter even more, and negotiators should strive to find common ground with their prospects. In 2019, there will likely be an increase in sales negotiators offering pre-planned concessions for mutually beneficial agreements. More often, taking breaks may be encouraged to create time for consultation and deliver maximum value for all sides. An expert marketing advisor, Milena Gallo brings many years of branding and digital marketing experience to experts in sales negotiation courses. She brews up fresh content on a daily basis, cleverly crafting messaging that helps online businesses reach new audiences. Strategically-minded, Milena diligently moves growing businesses towards their marketing goals. When she isn’t online, Milena pursues her passion for the environment, spending time in nature, planting gardens, and supporting conservation and reforestation projects.